Love is a magical experience that can send us on an exciting journey of happiness, self discovery and fulfillment. When you meet someone new, discovering their interests and uncovering what makes them unique is all part of the fun. Sometimes, we find ourselves in relationships that feel so much more special and enchanting than all those that came before. When this happens, it could be the case that you knew this person in a past life. 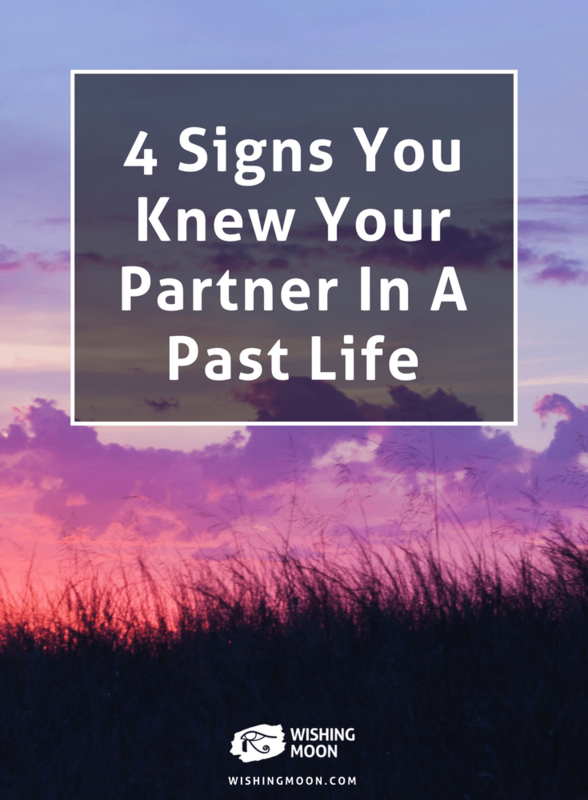 If you believe you fell in love with your partner the moment you first saw them, this could be a sign that you knew them in a past life. Perhaps you felt overwhelmed with a sense of familiarity within moments of meeting one another or you were able to accurately predict aspects of this person’s life or personality. Do you often feel an overwhelming sense of deja vu when you’re with your partner? If so, this could be a sign that you had similar experiences together hundreds of years ago. Whether this person turns out to be a season, a reason or a lifetime, they played such a significant role in your past life that they’ve returned to be with you in the present. There are some valuable and beautiful lessons you can learn from this person, so savour every moment that you get to spend with them. Do you and your partner often exchange knowing glances across a crowded room? If you’re able to communicate with your partner just by looking at them, you may well have been in a relationship in a previous life. It’s often said that actions speak louder than words and this is certainly the case for you and your love. It may be that you spent so much time together in your past life that you built the ability to communicate with subtle facial expressions and small gestures that would go unnoticed by others. You know you’ve met someone special when you can comfortably share a silence together in the very early stages of a relationship. When you can happily sit opposite one another without saying a word, this could be an indication that you’ve known each other before and have already developed a special bond.